Mitsubishi has a well-earned reputation for producing the most capable, reliable and comfortable pickups in markets around the world. 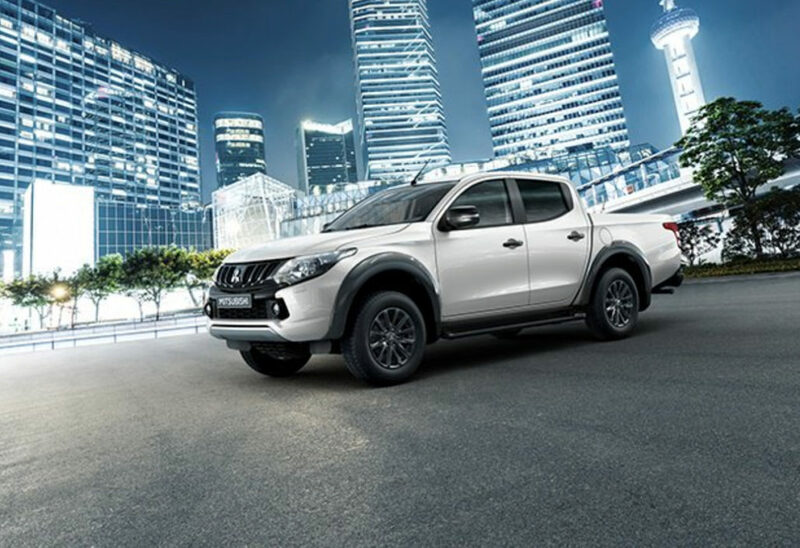 In South Africa, where it’s the norm to drive a pickup, or bakkie, as an everyday vehicle, Mitsubishi Motors is thrilled to be celebrating 40 years of success in this demanding segment. “Now in its fifth generation, the Mitsubishi Triton – which was previously badged as the Mitsubishi Colt – currently is our best-selling product in the local market. It’s perfectly adaptable for local driving conditions and becomes more popular with each new generation that’s introduced”, says Nic Campbell, General Manager at Mitsubishi Motors South Africa. The original Mitsubishi 1-ton pickup made its first appearance in 1978, at a time when the world was undergoing ground-breaking changes in terms of consumer needs and the way global business was conducted. To put it into perspective, this was the same year that Space Invaders spread to arcades across the globe and the video game industry was launched; the first automated cellular phone network was being built in Japan; and Superman took off in cinemas. Mitsubishi Motors immediately identified the need for a truly global pickup – one that would resonate with buyers around the world. And it was a hit, as over the next four decades, the Mitsubishi 1-ton pickup brought mobility to 4.7 million people. It’s a pickup truck that can handle all types of roads, anywhere on the planet and was developed with a clear design brief – to meet the desire of customers for a pickup with outstanding reliability, durability and payload performance; with levels of drivability, utility, comfort and ride that are on a par with a passenger sedan. Fourty years later, this is still the core of the Mitsubishi Triton. Over the years, Mitsubishi Motor’s famous pickup has been sold under different badges across various markets: from LP200 to Forte to Colt and Triton, as we know it South Africa. The first generation was developed to provide a 1-ton carrying capacity with rugged reliability, but an easy-to-drive nature. This soon made it a firm favourite across the world, from frozen lakes to sun-baked deserts. The styling took its cues from the compact sedan GALANT ?, with a long nose, an air-dam skirt which was introduced for trucks for the first time, and four round headlights. It was powered by 2.0-litre and 2.6-litre petrol engines for North America and 1.6-litre petrol engine for Japan and other regions. A 2.3-litre diesel engine was available for general exports. Its wide 1,360mm front track and long wheelbase of 2,780mm ensured superior driving stability. The chassis was sophisticated for a commercial vehicle too, with front disc brakes, double wishbone/coil springs for the front suspension, and leaf springs and rigid axle in the rear. The very quiet interior resulted from an uncompromising approach to NVH performance, which included the use of a two-piece prop shaft and the generous use of strategically-placed sealing materials. Mitsubishi Motors leveraged its many years of experience of building Jeeps and added a newly-developed part-time 4WD transfer system with a directly-linked silent chain. This system reduced gear noise and power loss and enabled high-speed on-road driving. To ensure customers could go even further afield, Mitsubishi Motors built on its four-wheel-drive heritage by adding a 4×4 version to the range in 1980. This became the foundation for modern Mitsubishi 4WD vehicles, leading directly to vehicles such as the legendary Pajero. The pickup, which was soon renamed Triton in many markets, including SA, had a profound effect on Mitsubishi Motors. The first- and second-generation platforms were mainly produced at Mitsubishi Motors Ohe Plant. From the third-generation and onward, production has been concentrated in the Laem Chabang Plant in Thailand, from where they are exported worldwide. It is now Mitsubishi Motors’ biggest factory, producing about 400,000 vehicles per year. There was a full model change in March 1986 and the exterior received a makeover with a new front grille design, among other detail changes. A wider variety of configurations were offered, including three body types: Single Cab, Club Cab, Double Cab, short and long body styles available for Single Cab, 2WD and 4WD drivetrain options, 2.0-litre and 2.6-litre petrol engines, and 2.5-litre diesel engine. A total of approximately 1,146,000 second generation models were produced in the Ohe Plant in Japan, and the Laem Chabang Plant in Thailand. Production of the third generation began in November 1995 in Thailand. The interior and exterior designs were fully revised to give a distinctive and cutting-edge look. The new style reflected the customer need to have a pickup truck that could also be used as a passenger car for personal use. The model was positioned as a roomy five-seater that was comfortable and capable enough for both recreational and commercial use. Power and off-road performance were improved with a 2.5-litre intercooled turbodiesel engine and features such as “Easy Select 4WD.” Safety and equipment levels were also enhanced to match the expectations of buyers who were used to passenger car levels of comfort. A total of approximately 1,046,000 vehicles were produced. It featured: a new look that combined the toughness of a pickup truck with the style of a passenger car; an interior with a passenger car feel; featuring moulded door trimmings and oversized padding for comfort; a roomy cargo area among the largest in its class; the 2.5-litre turbodiesel intercooled engine with better drivability; enhanced passive and active safety features such as driver-side airbag, anti-pinch power windows, and high-level brake lights; and Mitsubishi Motors “Easy Select 4WD” system was adopted, with its synchronized free-wheel front differential that allows the driver to choose the most efficient drive mode for any road surface. In August 2005 there was a full model change that was exported in stages to approximately 150 countries worldwide, solidifying this vehicle’s importance in Mitsubishi Motors’ global strategy. The fourth generation was developed with the following three key features to help it conquer the world: it had to exceed the basic performance requirements of pickup trucks in terms of economy, durability, and reliability; it had to have the highest quality standards to further strengthen the brand on a global scale; and it had to meet a wide variety of customer needs, not just be a commercial use vehicle. A total of 1,423,000 of the 4th generation Tritonwere produced. The 2005 Triton dispelled the general image of pickup trucks as merely commercial vehicles. This greatly expanded the customer base of Mitsubishi Motors’ pickup trucks and was welcomed in the local market. A newly developed diesel engine with a direct injection common rail produced high power while achieving low fuel consumption, exhaust emissions, and noise levels. The newly designed body also achieved the highest level of crashworthiness in its class at the time. Participation in the Dakar Rally and other races built up its superior off-road 4WD performance and highlighted the Triton’s capabilities to the world. The range now consisted of three body configurations: Single Cab, Club Cab, and Double Cab. The engines included newly developed 2.5-litre and 3.2-litre common rail diesel engines and the drivetrains options were 2WD and 4WD (“Super Select 4WD” and “Easy Select 4WD”). In 2014, the new 5th generation Mitsubishi Triton further refined the concept to meet with increasingly varying needs of customers. Improved usability and durability for commercial use, a sporty feel that is both easy and fun to drive, quality that gives customer satisfaction, and comfort for every passenger are all qualities that the new Triton has realised, evolving into the ultimate ‘sports utility truck’ (SUT). Three cabin types are offered to meet each purpose: Single Cab, Double Cab, and double door Club Cab. The 2.5-litre turbodiesel and 2.4-litre petrol engines have been improved and are offered alongside a newly-developed 2.4-litre MIVEC turbodiesel which delivers superior performance while achieving top-level fuel economy and lower CO2 emissions. A 6-speed manual and 5-speed automatic transmission with sports mode are also offered for the first time. The 4WD systems continue to develop too. The “Easy Select 4WD” system has three positions: 2H, 4H, 4L to provide optimum traction to match road conditions, and the “Super Select 4WD-II,” with an electronic actuator. A 2WD option is still offered, including the standard version and a “High Rider” model which has the same ground clearance as the 4WD for improved rough-road performance. “With 40 years of success to build on, it’s no surprise that consumers are eagerly awaiting the sixth generation of the Mitsubishi Triton. The official launch is set for November in Thailand, with the local launch date currently being determined based on world-wide production schedules. At lease, we can give customers a glimpse of what the future holds,” Campbell concluded. International models shown on the website may differ from the South African models available. Copyright © 2019 Brietta Trading (Pty) Ltd. An authorised distributor of Mitsubishi Motors. All rights reserved. Terms and Conditions & User Agreement. No responsibility is accepted for any errors or omissions. This content is not binding and Mitsubishi Motors reserves the right to make modifications without prior notice. All specifications subject to change without prior notice. Developed by Dawpro Solutions. Designed by RDPDESIGNS.